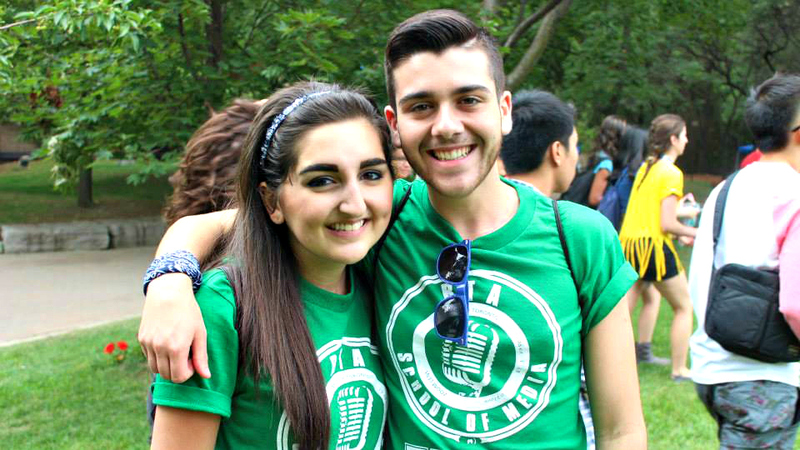 Mikael Melo was in our first ever group of #RoadToRyerson bloggers 4 years ago. 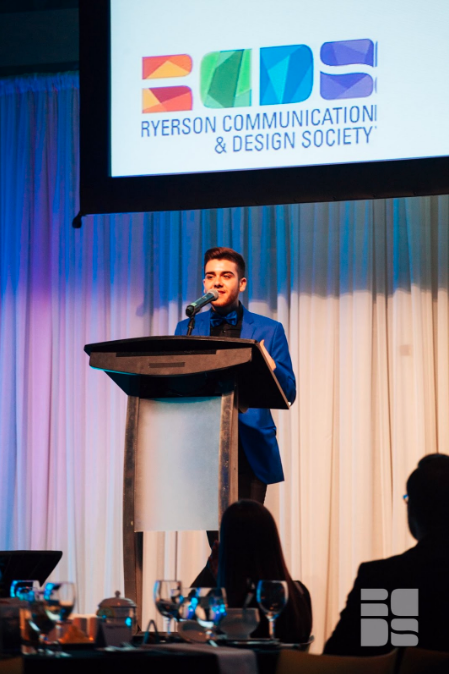 We followed his journey leading up to Ryerson, through Ryerson, and now that he’s on his #RoadFROMRyerson, he is sharing what he has learned along the way. To see his old blogs and video, click here. Getting involved is a wonderful idea; getting too involved is not a wonderful idea. After 4 years, 8 semesters, 1338 days, and a lifetime of memories, my time at Ryerson University is coming to a close. 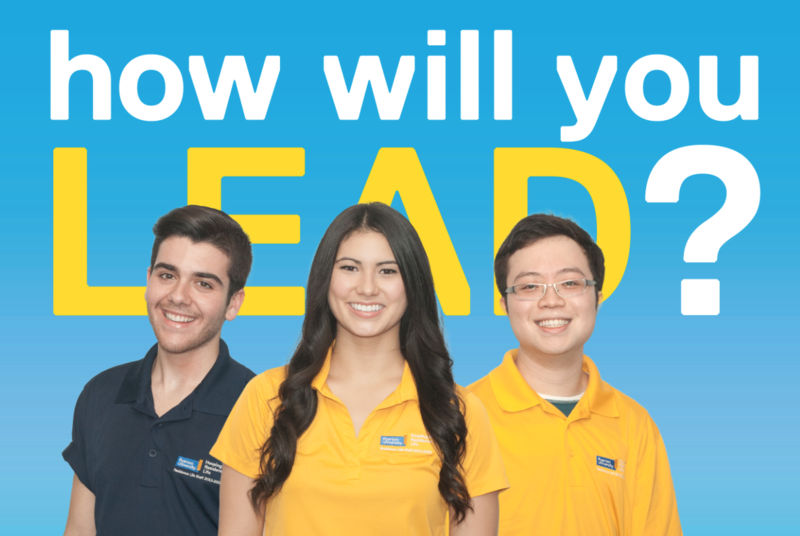 During my post-secondary career I’ve found myself getting extremely involved and wrapped up in this peculiar bubble called “student leadership”. Let me start off by saying that student leadership can simultaneously be the best and worst thing ever. It can be an emotional roller coaster that sometimes leaves you thinking “what was the point?” Other times, it can leave you with a sense of fulfilment that you are making an impact within your community. However, just like many things in life, there are several pros and cons to anything you dedicate your time to. For example, watching Netflix is good for the soul, but watching too much Netflix stops you from achieving real life goals. Now that I’m in my final year, reflecting back at this long list of “accomplishments”, I’m feeling happily bittersweet. Hear me out. I’m extremely grateful for my time in student leadership, it helped me gather a proper understanding as to how I lead and work in large groups. I’ve learned a lot about event planning, digital analytics, how to interact with industry professionals, and board-meeting etiquette. Plus I have met some of the greatest (and worst) people by getting involved. But there was a major downside to getting overly involved. I would spend days, weeks, even months stressing myself out over all my extracurriculars. It got to the point where I’d have to schedule time for myself to eat, call my parents, and see my friends. All things, which may I add, someone should never have to schedule into their Google Calendar. I was working myself to the bone, so much so that I began to lose sight of what I had found most enjoyable. I found myself treating my involvements as a chore rather than something I wanted to complete. I noticed certain people getting caught up in the air of their own roles which trickled down into my own secondhand stress. 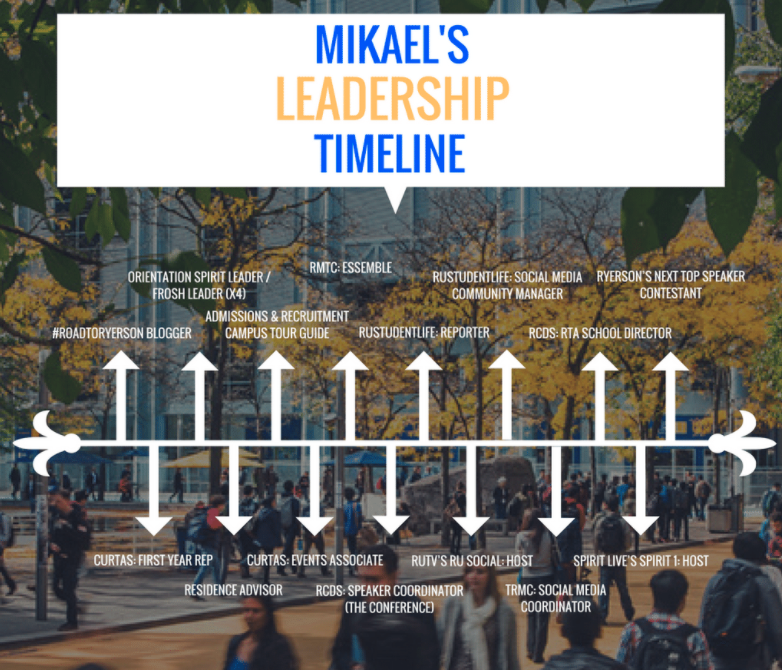 I was burning out hard, but all I could focus on was this image I had to uphold, so that I could walk around campus with my head held high because I was being perceived as a “student leader”. I recently interviewed for a job position in LA. The industry professional interviewing me smiled when he saw my student leadership involvements. He mentioned how he had also been a very involved student, but later learned that most employers bundle up school involvements under one category. You could have been the president of fifty clubs or just a general member of one and all they would see is “You were involved, awesome! Check that off the list.” He said it was harsh to grasp the reality that it was all for nothing. But is it really all for nothing? Being involved should not be a checkmark opportunity. There are things that I have learned through being involved at Ryerson that I would have never learned through a paid job experience. I am someone who has an abundance of different passions. Similar to when I visit a buffet, I like to try a little piece of everything that peaks my interest to keep me satisfied. School is a place for you to experiment, see what you like and what you don’t like. In student leadership you can take on roles you aren’t qualified for and THAT’S EXCITING AND SCARY ALL AT THE SAME TIME, BUT THAT’S WHAT MAKES IT AWESOME! It’s meant to be a growth experience to help foster your talents. You are here to fail in order to learn from your mistakes. I widened my skill set through my leadership opportunities. Plus, there is no better feeling than finishing a project, seeing the success of it, and feeling proud because even through trial and errors “you did that.” For the most part, student leadership is fantastic, and the students who devote hours of their free time to support their student body should be praised for their work. I will also note that conference season is a great season because who doesn’t like fancy gala’s and dressing up once in a while? But working in student leadership can get very cliquey very quick. Student leaders are ambitious, they all have a certain driving factor as to why they do what they do. Some people enter these positions to foster lifelong relationships, push themselves to greater heights, or to complete a common goal. Others enter this space with the intention of gaining attention, creating a dog eat dog environment, which essentially fosters the wrong type of leaders. Leadership can sometimes stimulate this conveyor belt affect where students enter with the best intentions at heart but leave having lost sight as to why they got involved in the first place. I once overheard a fellow student leader say that they didn’t “respect me or think I was a credible leader as I had never been a president of a student group.” This made me furious and drove me to take on more extracurriculars than I needed to, simply to prove that I was good enough. I had originally gotten involved to make friends, showcase what students could do, and showcase that there is more to post-secondary than what lies within the classroom. This may come as no surprise, but I was also fairly involved in high school. A majority of my greatest friendships have come through my extracurriculars. Back then it was all about having fun and doing something because it gave you some sort of fulfilment. The moment student leadership became about how many titles I could add to my resume or how I could prove to someone that I was a better leader than they gave me credit for was when I should have realized it was time to retire. Make sure you’re enjoying what you’re doing. There is nothing wrong with stepping down from something if it truly doesn’t fuel your passion. Make sure you’re getting involved for the right reasons. If that means writing a pros and cons list to see if it’s worth it, then WRITE THAT LIST. Most importantly, make sure you’ve found harmony in your extracurriculars and your day to day life. Whatever it takes, find that balance and foster a good foundation. Sometimes it’s okay to let those borders mesh, but not all the time. Remember that balance looks different for everyone. Balance can also change from year to year, month to month, week to week, even day to day! Acknowledging this is extremely vital. As a student, your most important job is self-care, and to be a true leader you must above all learn how to lead yourself first.